The defence spending was part of a USD 860-billion national budget for the fiscal year starting in April, also a record as medical and social welfare costs snowball in Japan's rapidly ageing society. Japan's defence budget will surge to a record USD 46 billion for the next fiscal year, the government said on , as the nation shores up its missile shield against the threat posed by North Korea. The defence budget rose for the sixth consecutive year, as Tokyo seeks to bolster its military in the face of threats from the regime in Pyongyang, which has fired two missiles over the country this year and vowed to "sink" it into the sea. 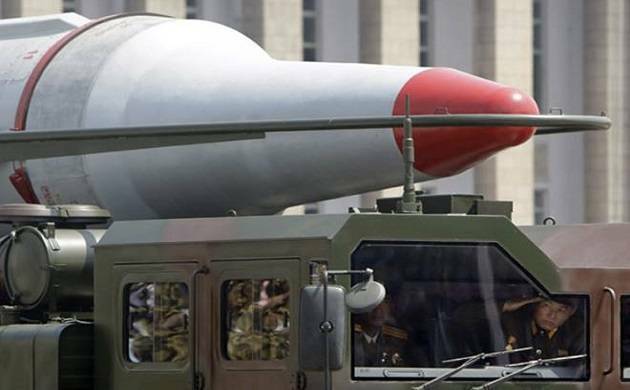 Last month, North Korea test-fired an intercontinental ballistic missile (ICBM) that plunged into the waters of Japan's exclusive economic zone. The extra defence funding will cover the cost of preparations for introducing the US military's Aegis Ashore land-based missile interceptor system. "At a time when North Korea is beefing up its ballistic missile capability, we need to strengthen our capability fundamentally," defence minister Itsunori Onodera said earlier this month. During his first visit to Japan last month, US President Donald Trump backed a more militaristic Japan, saying the Pacific ally should buy US equipment to protect itself. "It's a lot of jobs for us and a lot of safety for Japan," said Trump. Japan also plans to purchase long-range cruise missiles with a range of some 900 kilometres from US firms. The move is controversial as Japan's pacifist constitution bans the use of force as a means of settling international disputes. Japan's military policy has long been restricted to self-defence and relies heavily on the US to attack enemy territory under the Japan-US security alliance. Yukio Edano, head of the biggest opposition Constitutional Democratic Party of Japan, said the offensive missiles will be a "fairly big point of dispute" whenlawmakers debate the budget bill next month. While insisting Japan will maintain the decades-long policy, Abe said he wants to review the country's defence capability to match it with "the severe reality". "The Abe administration is using North Korea's threats as leverage to upgrade its defence system," said Akira Kato, professor of international politics and regional security at Tokyo's J.F. Oberlin University. "Japan is expected to continue strengthening its defence power for now," Kato said.